To learn more about the performance you’ll be seeing, be sure to follow Tulsa Ballet on Facebook, Instagram and Twitter for behind-the-scenes photos, videos and interviews, and join in the conversation! The level of dress by PAC patrons generally ranges from casual to business casual. Your comfort is the uppermost concern. Some patrons enjoy dressing up. Others are most comfortable in jeans. Rest assured, you will see a little of everything. There is a parking lot available for PAC patrons just to the east of the PAC (bordered by Detroit and Cincinnati Avenues and 2nd and 3rd Streets), and another just south of the PAC on the southeast corner of 3rd & Cincinnati. Parking runs $7 per car and costs the same as underground parking. Underground parking, accessed from 2nd Street, connects directly to PAC entrances. There is also street parking available around the PAC, which is free after 5 p.m. and on the weekends. While in downtown Tulsa, we encourage you to visit one of the many great area restaurants. A list of nearby restaurants can be found on the PAC website. There are parking lots located off of East 5th Place, near the Theater. Parking is free. Parking is free. Overflow parking can be found in the lot across the street by the Library and Wal-mart. We encourage you to spend some time in the Brookside neighborhood before or after the performance. To purchase tickets online, choose from our list of performances. Note: Ticket office hours are Monday through Friday from 9am to 5pm, and one hour prior to showtimes at Studio K and the Lorton Performance Center. 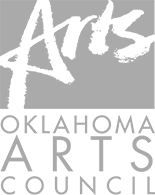 Tickets to individual performances by Tulsa Ballet may also be purchased at the Tulsa Performing Arts Center (TPAC) Box Office. The TPAC Box Office is located on the south side of the Performing Arts Center at 101 E. Third Street (E. Third St. and Cincinnati Ave, downtown). Ticket office hours are Monday through Friday, 10am to 5:30pm and two hours prior to showtime. 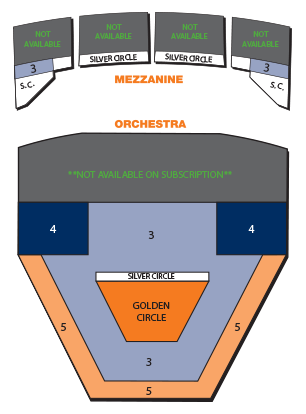 Hours of operation, policies, methods of payments, ticketing fees and availability of discounts are distinct from Tulsa Ballet. For the safety and comfort of our patrons and for the safety of our dancers, there will be no seating after the performance begins. Those not in the house when the house lights are brought down will be able to view the performance from the lobby monitors until they can be seated at intermission.